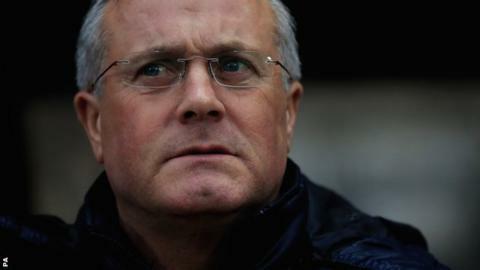 Port Vale manager Micky Adams is ready to commit himself to a new contract with the League One club, according to owner Norman Smurthwaite. Adams' future at Vale Park has been the subject of some debate for several months - and Smurthwaite is relieved that the 52-year-old Yorkshireman plans to remain on a one-year rolling deal. Aug 1996-Sept 1997: Fulham (player-manager). Won promotion. Apr 1999-Oct 2001: Brighton. Won promotion. Apr 2002-Oct 2004: Leicester Won promotion. May 2011-present: Port Vale. Won promotion. "I'm very pleased Micky wants to stay," Smurthwaite told BBC Radio Stoke. "He's a much better manager than Port Vale deserve, because of his CV." Smurthwaite, who became Vale's sole owner when business partner Paul Wildes stepped down as chairman a year ago, admitted: "I've never had a Plan B for Micky. But I had to put one in place just in case a large club came for him. "Because, if they had, he'd have had my blessing, as I think he's at the wrong level." Since returning to Vale Park in May 2011 for his second stint as Vale boss, following his short, ill-fated stint with boyhood heroes Sheffield United, Adams has been through the emotional mill. He came through the stresses and strains of administration in his first season back and then won promotion out of League Two in his second season, despite the distraction of a long-drawn-out takeover. And he then achieved a top-10 finish with Vale this season, all to the backdrop of recuperating from a hip operation and persistent speculation about his future. "I felt it was only right that he be certain that he wanted to tie himself to a 12-month rolling contract, "said Smurthwaite. "One of my biggest concerns was the fact that he commuted an hour and half each day, on top of all the other stresses. "And that the appetite from the fans was there for him to continue. We need the fans on the journey to where we want to go. "But he's had time to survey it and I'm very pleased he wants to stay as we have a great understanding and working relationship."